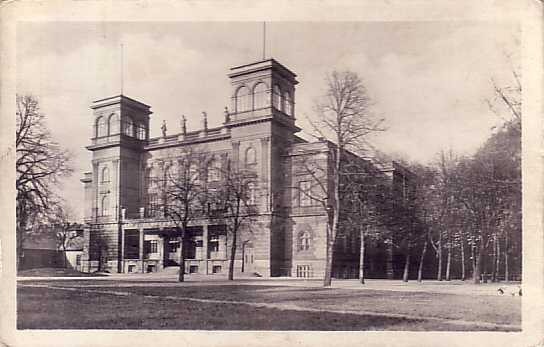 Built as "Städtische Parksäle" for the city of Komotau. Used for theatre performances, concerts, balls, and other events. Great Hall: 500 seats, Small Hall: 100 seats, Banquet Salon: 80 seats. Reverse Text: "Chomutov - Mestské divadlo"